So wrote Jonathan Z. Smith, in his essay “Are Theological and Religious Studies Compatible?” (originally published in The CSSR Bulletin 26 : 60-61 and then reprinted in Chris Lehrich’s edited collection On Teaching Religion [2013: 75]). I quote it here as an intellectual provocation, to challenge us as to how we generally privilege the familiar. 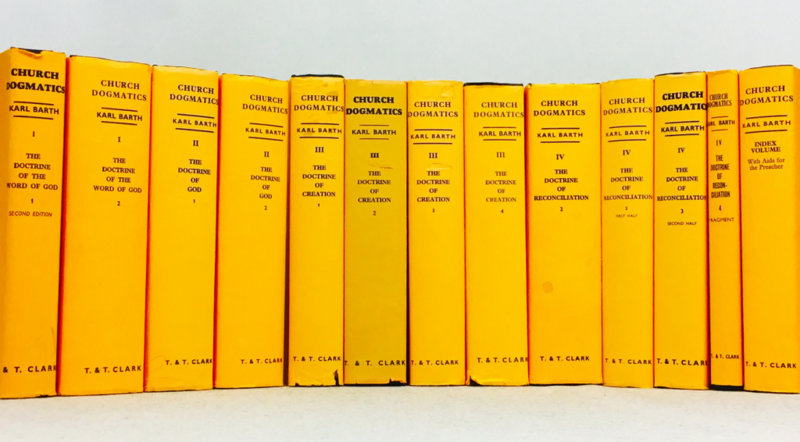 For whether one identifies as Christian or not, such widely-known insider technical terms as grace, sin, and salvation, along with such proper nouns as the Holy Spirit, God, or Jesus, are more than likely so familiar to most scholars of religion that they would be hard pressed to study, let’s just say, Karl Barth’s magnum opus as a work of epic mythmaking, akin to the oral or written products of cultures with which we are not so familiar. It would therefore be a challenge — one well worth the effort, I think — to take Smith’s brief line, above, seriously, and approach the massive Church Dogmatics as nothing more or less than a myth and to then read it accordingly. It would be a great dissertation project. * Ogotemmêli, an elder of the Dogon group in Mali/west Africa, provided Marcel Griaule with esoteric insider teachings for the latter’s Conversations With Ogotemmêli: An Introduction to Dogon Religious Ideas (Oxford Univ. Press, 1965); Antonio Guzmán was an enculturated Desana Indian, from the Amazon, who Gerardo Reichel-Dolmatoff met in the city of Bogota, Colombia; see the latter’s book, Amazonian Cosmos (Univ. of Chicago Press, 1971).